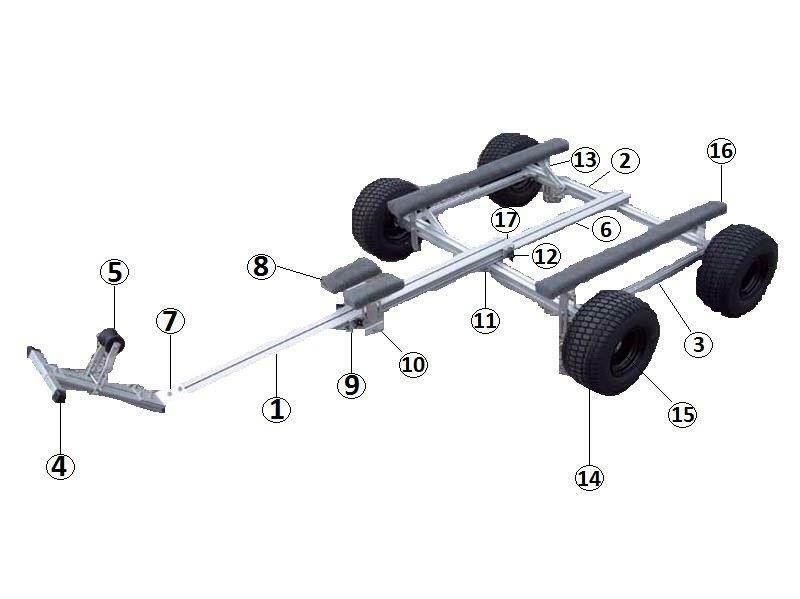 Tandem axle universal dolly. 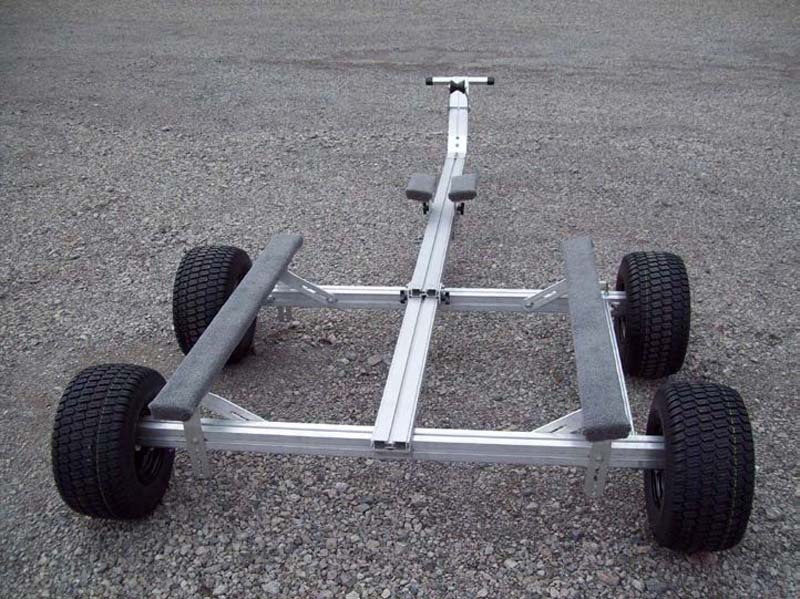 This dolly is fully adjustable. The length goes from 8' 6" to 13' with no tools. It comes standard with 18" x 8.5" super size tires. 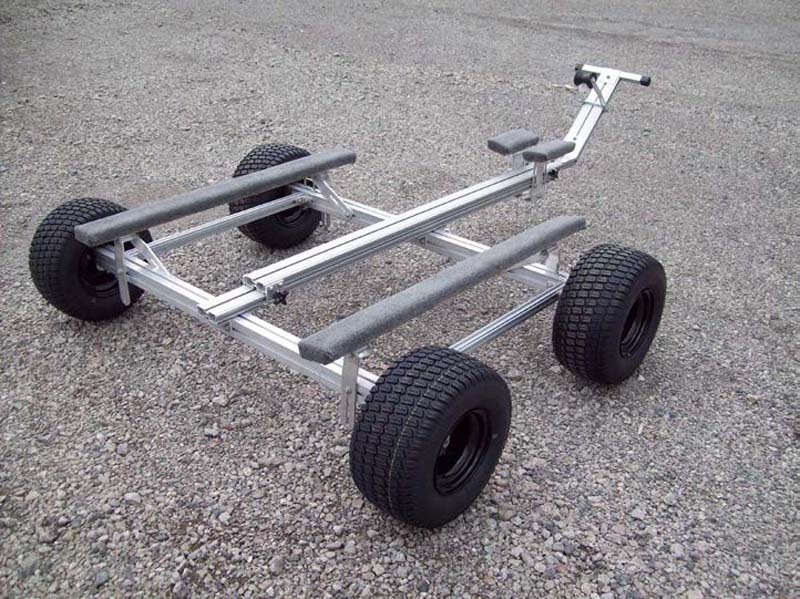 The dolly is designed for large sail/power boats and also inflatables. 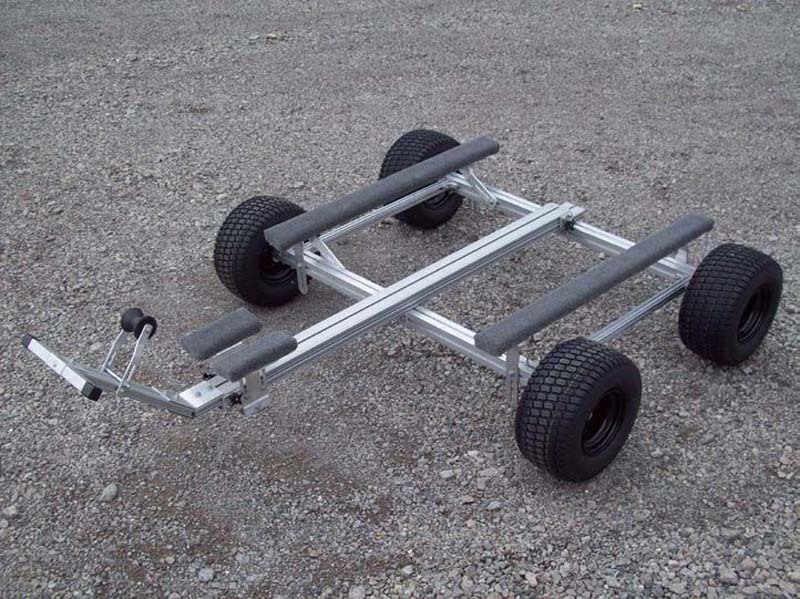 All SUT trailers ship in kit form, shipping additional. Shipping weight 97 pounds. Assembled width 78".